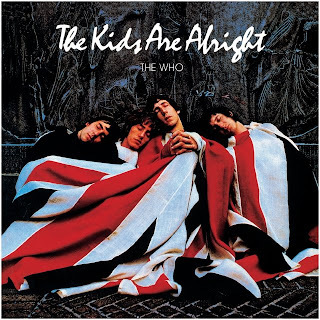 Back in June1979 I was graduating the 8th grade, for myself and a generation (or two) The Who's Kids Are Alright album & movie was a major soundtrack to that time. It was all over the radio in the summer & fall of 1979, especially on 95.5 WPLJ in its prime. When VCRs first came out we spent many an afternoon & evening renting out this movie watching it over & over as we partied to the music, as it came alive in video. The Kids Are Alright is movie that documents the Who's first 15 years in old television & concert footage. The producer was Jeff Stein who was a fan with no prior experience. 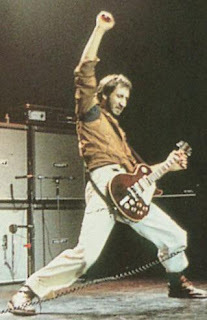 He approached Pete Townshend in 1975 with the idea, and Pete was coaxed by the bands manager to do it. When the initial footage was shown to the band & their wives, they loved it. It was one of the first documentries where the story was told by the band and people close assciate d with them. They also used the project moved forward but needed more recent material. A film crew followed Keith Moon around for a week getting some great Moon material including his 31st birthday. There was the great segment of Keith destroying a hotel room with Steve Martin along side him, an interview where a leather clad girl is whipping him behind a leather mask, and a funny on going interview with his good friend Ringo Starr. There were no good performances existing on film of for two of their biggest songs. (Won't Get Fooled Again & Baba O'Reiley). 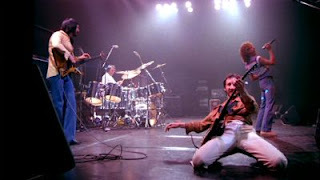 So after two private filming's in 1978 new footage of Wont Get Fooled Again, & Baba O' Reily were completed in front of an invited audience that summer. These two fantastic performances would come to define the two songs visually for millions of Who fans. 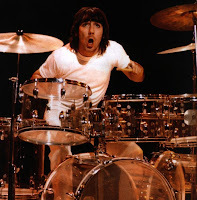 This performance marked the last time Keith Moon would perform live with the Who. At Londons Battersea's studio a great promo for Who Are You, their newest record of the time, was also filmed al ong with a rendition of the oldies classic Barbra Ann. Barbra Ann featured Moon on rare vocals. It was the last time Moon was in the studio with the band. The movie opens with the 1967 Smothers Brothers Show which introduced The Who to America. 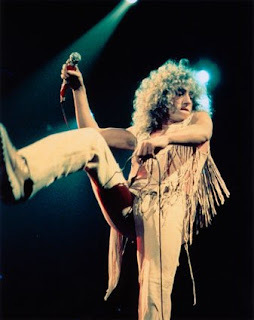 During intros, with Tommy Smothers, Roger Daltrey claims he is Roger from Oz. Keith says my friend call me Keith you can call me John. The band rips into My Generation complete with explosions & smashing of equipment in the finale. Extra explosives were put into the drum kit by a stage hand who was bribed by Moon. The explosion surprises the band, burns Pete's hair leaving him temporarily d ef for twenty minutes. Pete then takes Tommy Smothers guitar and smashes it to bits. Also seen is footage from; 1965 Shindig TV show- I Cant Explain, 1965 Ready Steady Go- Any Way Any How Any Where, and an 1966 promo film for Happy Jack. The Who are seen in all their classic images; smashing equipment, Moons explosive drumming, Pete's pinwheel style playing of guitar, Rogers microphone twirling, John's silent but incredible bass playing. 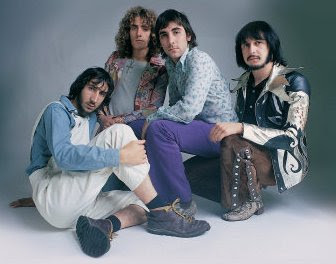 The look like mod clothes; Keiths target shirt, John military medals jackets, Rogers long curly blond locks, and the Who being the Who. Performances from major events like Woodstock (See Me Feel Me, Pinball Wizard, Sparks, My Generation jam,) the Montery Pop Festival: My Generation), & The Rolling Stones Rock & Roll Circus. The R & R Circus footage had never seen the light of day before this film. It has the band performing their first mini rock opera; A Quick One While He's Away. 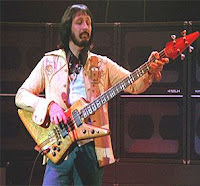 Also included are Young Man Blues from 1969 at the London Coliseum, Tommy Can You Hear Me from the 1969 German TV show the Beat Club, Road Runner /My Generation Blues from the Silver Dome in Pontiac Michigan 1975. There is a montage of clips from 1966-1968 of Pictures of Lily, Magic Bus & Substitute. There are various interviews through out the movie including a British TV show where Moon rips Pete 's shirt off & strips down to his under wear. Another scene has John Entwhistle firing a machine gun at Roger Daltrey solo records, at his mansion with a staircase full of guitars. The film ends with the song Long Live Rock & the Kids Are Alright playing to the credits rolling over various footage of the band saying good byes to the crowd at the end of concerts. Long Live Rock became a big hit on FM radio in the summer of '79. Unfortunately Keith Moon died during the sound editing of the film. The band chose not to change anything in the film and have it released as it was suppose to be. A soundtrack album was released and got huge radio airplay in the hey days of FM radio. It reached #8 on the US chars and went platinum. A tour also followed, the first tour without Moon, featuring new drummer Kenny Jones. The picture on the album cover was a photo of the Who in 1968 at Carl Schurz Park, at 116th St. & Morning Side Drive on the West Side of Harlem in New York City. It was taken in 1968 by photographer Art Kane and 1st appeared in Life magazine. 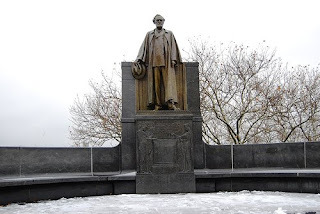 Schurz was a Civil War Union General & politician.